[Later] on 4th & D, 1962. [correction written in]: Incorrect, old L.O. library in City Hall on A Ave. between State and First. Photo taken around 1954. Oswego. Description Mounted on cardboard. Sign: Hurray for books. Display caption: 1951. 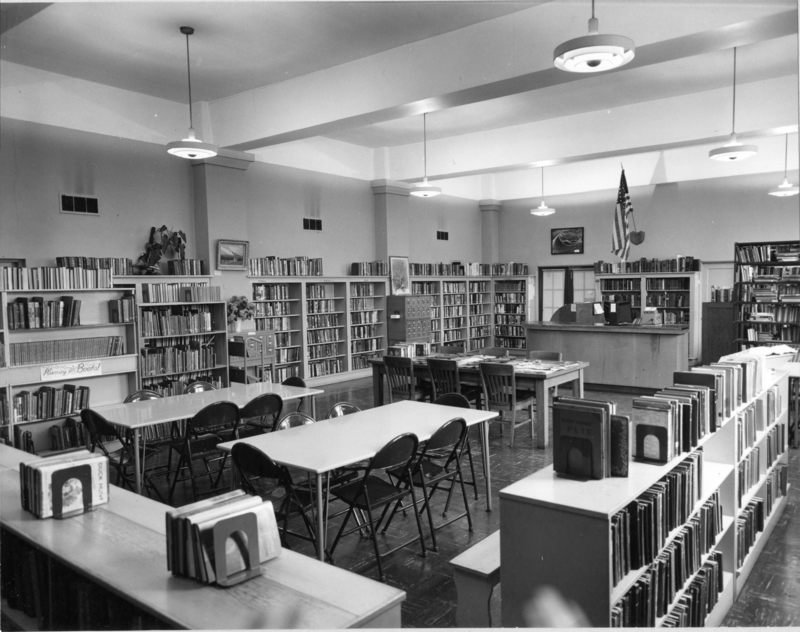 Modern lighting fixtures were installed and Lakeside Lumber supplied a counter to serve as a circulation desk. Transcription [Later] on 4th & D, 1962. [correction written in]: Incorrect, old L.O. library in City Hall on A Ave. between State and First. Photo taken around 1954. Oswego.